This is my first time drawing Ninetales^_^. I'm actually pretty happy with how this turned out^_^. Anyway, highly intelligent, it is said that Ninetales first came into being when nine wizards possessing sacred power merged and became one. 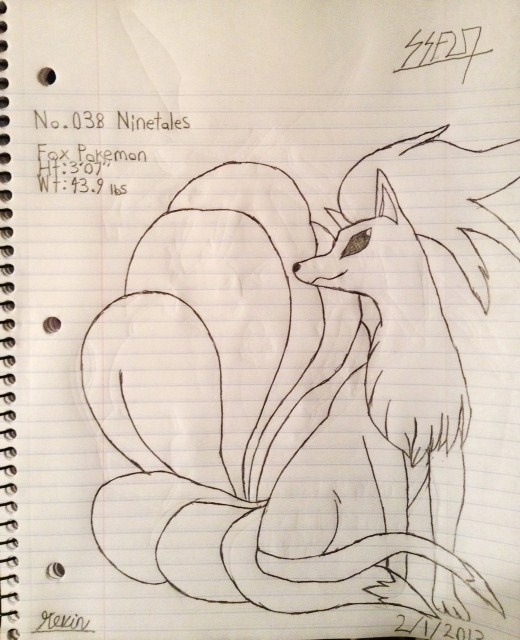 It has long been said that each of it's nine tails embody an enchanted power that allow Ninetales to live for 1000 years. A long-lived Ninetales fur will shine like gold.